Welcome to Bud Rier Chevrolet! 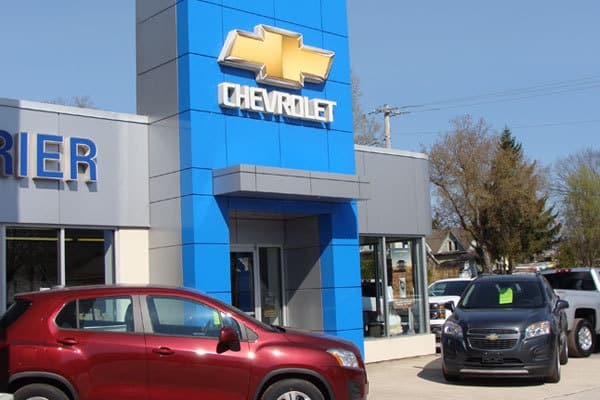 At our Paisley, ON new and used Chevrolet dealership serving Bruce County, your satisfaction is our primary concern! We encourage you to browse our online inventory of new and used cars, trucks and SUVs. We also provided our customers with financing, service, and parts. You can visit our hours and directions page on how to find us, or contact us via email. Our Bruce County area dealer alternative has the vehicle of your dreams – Paisley shoppers, come test drive a Chevrolet today!